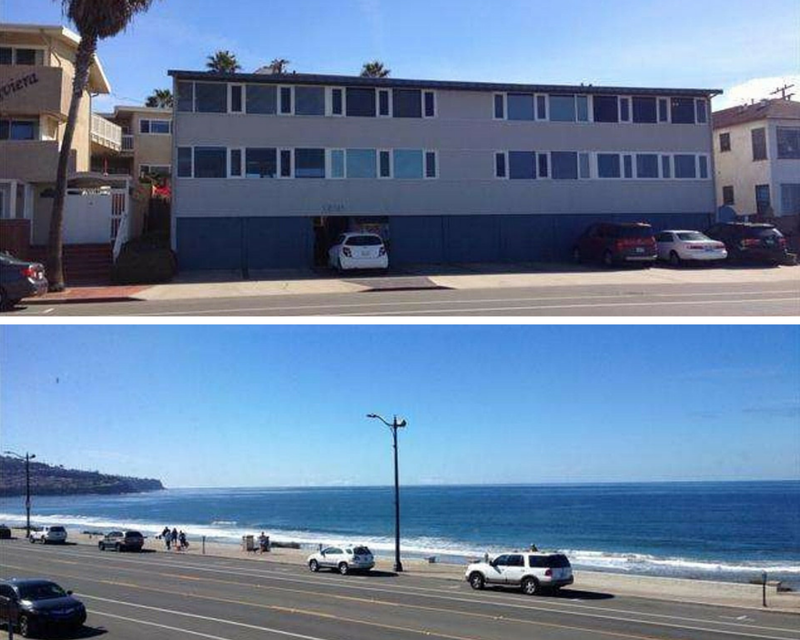 I finalized a new Earthquake Insurance policy for this 6,000 square foot apartment building on the Esplanade in Redondo Beach this week. This complements the fire and liability policy which has already been in place for years. Nice view, huh? A safe work environment does not happen by accident. A company’s management team must be fully engaged in creating, planning, implementing, communicating and making sure safety programs work and are designed to fit the business. Most importantly, employees have to understand their role in making their workplace safer. Review, revise, improve – A safety program should be dynamic, especially since most business environments continue to evolve. An effective safety program should be flexible enough to adjust to changes. Regularly review, evaluate and identify risks that could affect safety, and make the changes necessary to keep your workplace safe. Create safety standards – Each department should set safety standards through a Job Safety Analysis (JSA) to make sure every task is done correctly and safely. Recognize good safety performance, and cite and correct unsafe practices. Investigate every incident and accident thoroughly – Properly trained staff with experience in investigation, analysis and evidence collection should conduct an accident analysis as soon as possible after an incident. Report the claim within 24 hours to help ensure prompt response and injury management. Manage every injury – Even with the best safety program, an employee injury can still occur. Planning helps you to react immediately when an employee is injured on the job. Learn about five strategies that can help you put employees on the road back to productivity. Initiating a comprehensive program can seem daunting, but I can help businesses like yours take the necessary steps to begin creating a safety culture. Insurance is only one piece of the puzzle. Effective risk management and loss prevention efforts go a long way to keeping insurance premiums down and other costs of doing business. You never know when disaster will strike. Meet three survivors from three recent natural disasters: Hurricane Sandy; the Moore, Oklahoma tornado; and the Poinsettia Wildfire outside of San Diego. Watch their stories and then log on to www.ready.gov/prepare for more information on what you can do to prepare you and your family or your business. Be Smart. Take Part. Prepare. Being an entrepreneur makes you the boss, but along with getting to choose your own hours, location, and business plan, it also means that you’re responsible for a lot of other things like commercial/business insurance. There’s a lot more to business insurance than getting the lowest business insurance quotes. It means understanding your business’s unique needs and the potential hazards that can threaten its success. In Carlsbad, officials said at a news briefing that 22 housing structures were destroyed: four single-family homes and an 18-unit apartment building, along with two commercial buildings. The loss was estimated at $22.5 million according to the L.A. Times. My wife and I have recently been (slowly) assembling an earthquake survival kit at our home….better late than never, right? So what better timing to catch this story in the Los Angeles Times. I never really thought about stocking up my car, but that wouldn’t be a bad idea. 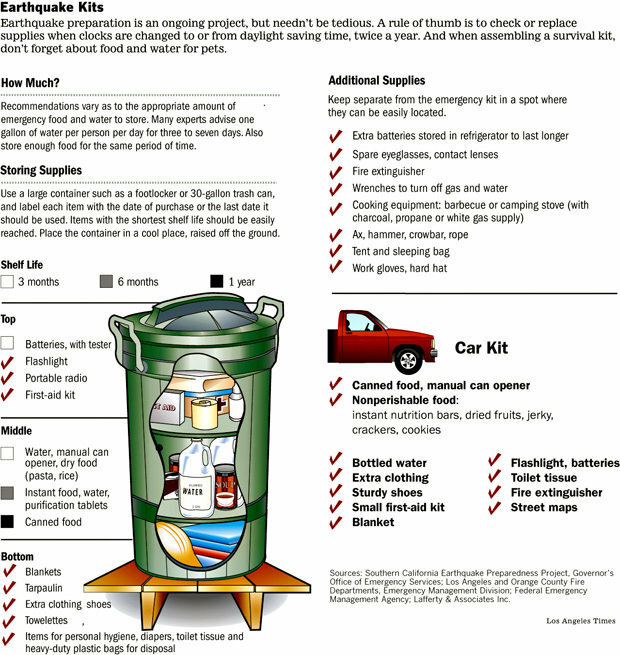 Here in Southern California, we really haven’t dealt with any large significant tremors since the 1994 Northridge earthquake so it’s easy to get complacent about being prepared with an earthquake survival kit. Like us, start thinking about putting one together in your house or car! Better late than never!